Collects Captain America (1968) #302-317. Snakes. Why did it have to be snakes? Prepare for an ophidian infestation as the sinister Sidewinder assembles a slithering squadron of super villains for sale, under the sensational sobriquet of the Serpent Society! But the Sentinel of Liberty must face this new threat alone, after his partner Nomad's very sense of self is called into question during a life-changing encounter with the maniacal Madcap! 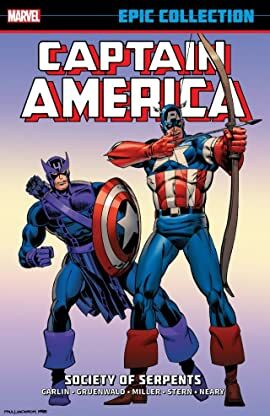 The identity crisis continues when Hawkeye wields Cap's shield, the Beyonder takes his face, and Steve Rogers dons the red, white and blue of...Captain Britain?! 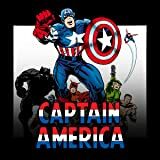 The armored Armadillo, the Batroc Brigade and the fundamentalist Flag-Smasher all await, while Steve's personal life suffers its own share of turmoil.